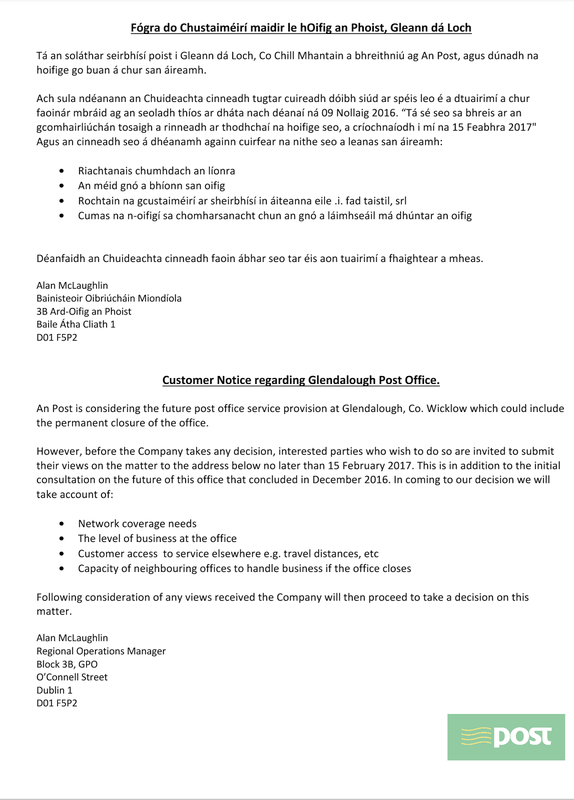 Sinn Féin TD for Wicklow/East Carlow John Brady has said that the closure of Laragh/Glendalough post office tomorrow must be a temporary measure. “I spoke with Senior Management in An Post earlier today to voice my absolute opposition to any definite closure of Laragh/Glendalough post office and to seek clarity on the consultation process. 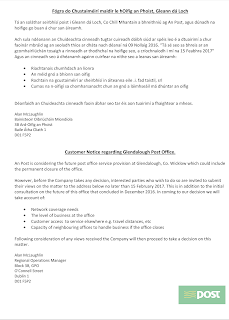 “I was informed that Laragh/Glendalough post office will close at the end of business tomorrow with the consultation process now re-opened until February 15th. “All Department of Social Protection customers will be transferred to Roundwood post office from tomorrow. “Once the deadline for submissions is reached on February 15th a decision will be made as to the possibility of restoring the post office services. If there is a positive outcome then An Post will open a tender process for between three and four weeks to allow any interested parties to come forward. “I encourage the people of Laragh, Glendalough and surrounding areas to submit a written submission to Alan McLaughlin, Regional Operations Manager, Block 3B, GPO, O’Connell Street, Dublin 1. "Post offices are the heart of rural Ireland and key to saving post offices like this one is the implementation of the Kerr report which was published in January 2016.